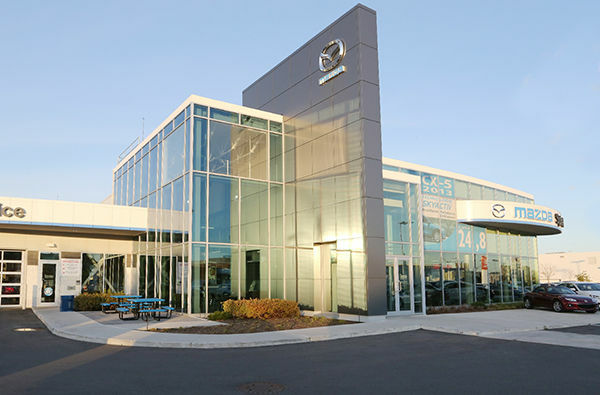 If you are in the market for a Mazda vehicle in Montreal, come into Spinelli Mazda today, located at 230 Montreal-Toronto Boulevard in Lachine near Montreal. At Spinelli Mazda, you will find the complete lineup of new Mazda vehicles, and a large selection of reliable and affordable pre-owned Mazda vehicles. Better yet, at Spinelli Mazda, our dedication to customer service is sure to exceed your expectations every time you visit our dealership. If you are looking for a new Mazda vehicle in Montreal, like the Mazda3, Mazda6, Mazda CX-5 or Mazda CX-3, Spinelli Mazda’s team of dedicated sales representatives will be able to help you. We take the time to understand your needs to help you find the best Mazda vehicle for your lifestyle. If you already own a Mazda, come and meet our after-sales service department’s team of experts. Whether you need detailing, maintenance services or for new tires and genuine Mazda parts and accessories, you will find everything you need at Spinelli Mazda. At the same time, you can take advantage of exclusive services like our My Spinelli loyalty program and our Express Service. To learn more about our new Mazda vehicles and our after-sales services, contact us by phone at 1 844 726-2825, or by using our online contact form.